Wood stroked home after Ben Foster had palmed Dwight McNeil's shot from the edge of the area into his path, but the assistant referee's flag was straight up despite Jose Holebas appearing to play the striker onside. It was otherwise a game marked by fine performances from the two goalkeepers, with Burnley's Tom Heaton producing the save of the game inside the opening two minutes - standing tall to deny Gerard Deulofeu with his legs after the Spaniard had sprung clear of the visitors' defence. Watford made three changes to the team that won 2-1 at Crystal Palace last time out, with Christian Kabasele, Tom Cleverley and Ken Sema coming in for Craig Cathcart (knee), Abdoulaye Doucoure (knee) and Will Hughes (head). 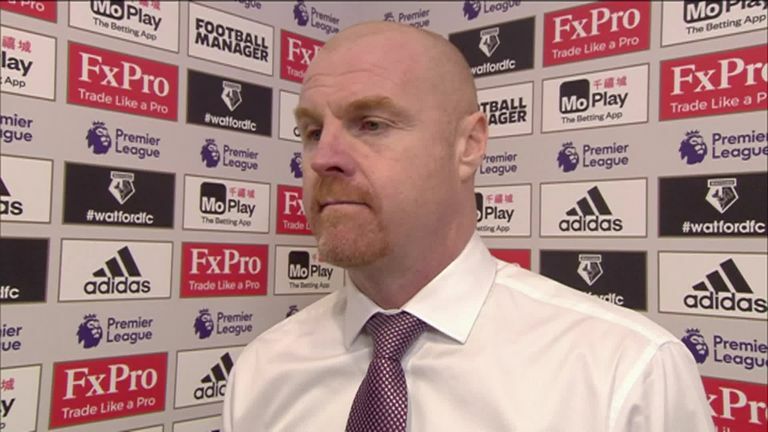 Sean Dyche kept faith with the same XI that started the win over Fulham. 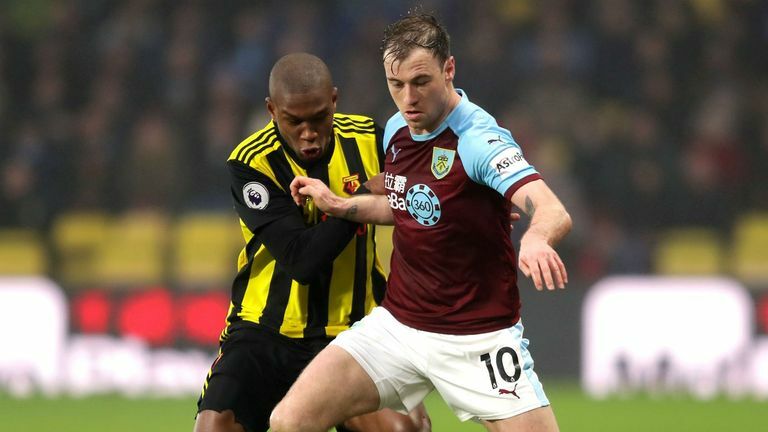 Foster also did well to deny Jeff Hendrick midway through the second half, and the draw means Watford remain in seventh with 33 points from 23 games, while Burnley's run of three straight wins is ended and leaves them three points clear of the relegation zone. 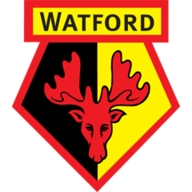 Watford started well, with Deeney setting Deulofeu clear for his early effort before James Tarkowski was forced to clear off the line from Ken Sema's stab towards goal. 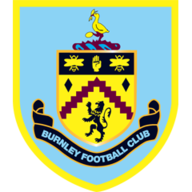 But Burnley slowly warmed to their task, with Ashley Barnes heading Ashley Westwood's superb cross straight at Foster before somehow contriving to slice his shot wide after Adrian Mariappa's poor defensive header fell to him six yards out. Wood then fired into the side netting on the turn, yet as the home fans began to voice their displeasure they might have seen their side go into the break ahead - Deeney forcing Heaton into a smart save after meeting Kiko Femenia's cross with a sweet half-volley from 10 yards out. The second half was a hugely disappointing affair, although Phil Bardsley might have done better after being found in space following a lung-bursting inside run from right-back, while Foster was smartly off his line to deny Hendrick. Heaton then did well to improvise after Deeney's header squirmed goalwards off a flailing Tarkowski before diving low to his right to stop Tom Cleverley's fine volley from the edge of the area. And with a disjointed game meandering towards its conclusion, there was just time for Wood's late strike to be ruled out and deny the Clarets their fourth straight win. 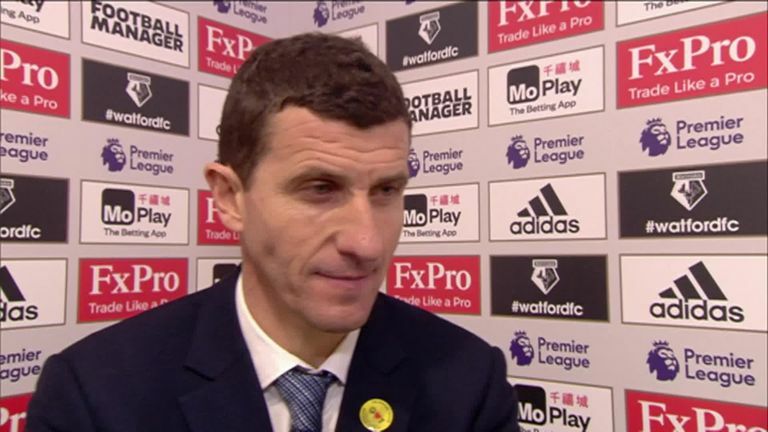 Javi Gracia: "We knew it would be a very demanding game and it was. We started well, created the first clear-cut chance but didn't take it and after that the game was very close with a lot challenges for second balls. When you can't win one point is positive." Sean Dyche: "Unfortunately a decision goes against us again. They are important moments and another two points would have been even more pleasing to take it to four wins on the trot. It's a tough one to accept today, because it was an important moment." Watford have lost just one of their last eight Premier League games (W3 D4). Burnley kept their first league clean sheet away to Watford in 10 matches. Burnley have gone four Premier League games unbeaten for the first time since a run of six ending in April 2018. This was just Burnley's second clean sheet in the Premier League in their last 11 away games in the competition. Not much to choose between Heaton and his opposite number in the Watford goal Ben Foster, with the two old friends in fine form, but Heaton just nicks it because he had the harder saves to make. The first was the most difficult, as his right leg deflected Gerard Deulofeu's effort wide just two minutes in, but he also did well to keep out Tom Cleverley's volley and Troy Deeney's stinger. Both teams have two away games up next. Watford are at Newcastle in the FA Cup next week before travelling to Wembley to take on Spurs on January 30. Burnley travel to Manchester City in the FA Cup next Saturday before another trip to the city the following Tuesday to face United in the Premier League.